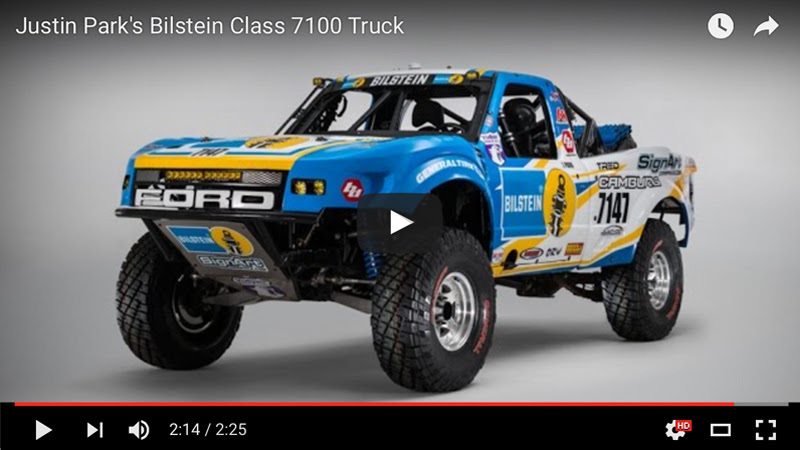 Matt Martelli teams up with Justin Park in his Bilstein #7147 truck to battle a field of 33 trucks! June 20th, 2016 – San Diego, CA – Mint 400 CEO Matt Martelli announced today he will be racing in the exploding 7100 truck class at the 2016 RECORD Ensenada to San Felipe 250. Martelli has teamed up with Justin Park and the Bilstein #7147 race team. The RECORD Series has been operating for 27 years in Baja and the 2016 Ensenada to San Felipe 250 will bring over 274 racers to tackle the ultra technical course. The 7100 Class is a budget-conscious class, built on production mini/mid-sized pickups or SUV’s. Martelli is continuing his campaign to race every class of off-road vehicle to write and share information on his experience and teach people how fun off-road racing is. To make things more interesting, Justin Park has organized a 7100 Class prize package worth thousands of dollars in retail value for the 33 entries (See below). “We are stoked. This is our first time the 7100 Class will be officially racing in Baja! Our goal is to unify the rules and get everybody racing together in Baja and America. The RECORD Race Series has some great racing and we have 33 trucks currently entered! It’s going to be some great racing!” stated 7100 Class Representative, Justin Park. American off-road racing was forged in garages and backyards all over the country by packs of friends and grease monkeys who modified stock trucks and made them into stronger, more reliable race vehicles. No class represents this spirit of do-it-yourself racing better than the 7100 class. 7100 class vehicles are modified to race but unlike their big brothers, they must be built with a chassis and motor that are readily available to the general public and must retain stock steering. The suspension of these vehicles is the same configuration as originally produced. They are strengthened and reinforced but the original stock geometry must be left intact and they are limited to 18 inches of suspension travel and a 35” tire. As part of the safety specifications for the class, a race fuel cell is installed, as are race seats, a racing harness, and of course a roll cage. While the brake, hubs, and rear differential components can be upgraded, the hoods, trunk lids, doors fenders and bedsides are required to resemble the original stock vehicles. The vehicles must weigh 3250 lbs. minimum in order to compete. All of these class restrictions keep the class affordable to race and also push the drivers to focus on becoming better racers, instead of relying on their trucks for a particular advantage. The Bilstein #7147 Racing Team has been racing in Baja since 2010 and have worked their way into Best in the Desert. Made up of local friends that own pre-runners and enjoy off-roading, the Bilstein #7147 Racing Team applies the tricks and technical adjustments learned in off-road racing to their own vehicles. To the Bilstein #7147 Racing Team, it’s all about the learning process and getting more involved in off-roading!